Congratulations to the FIRST EVER AmeriCorps Alum U.S. Senator! November 6th was a big night for our country and amongst knowing our re-elected 44th President, the state of New Mexico also elected the first AmeriCorps Alum Senator: Martin Heinrich. 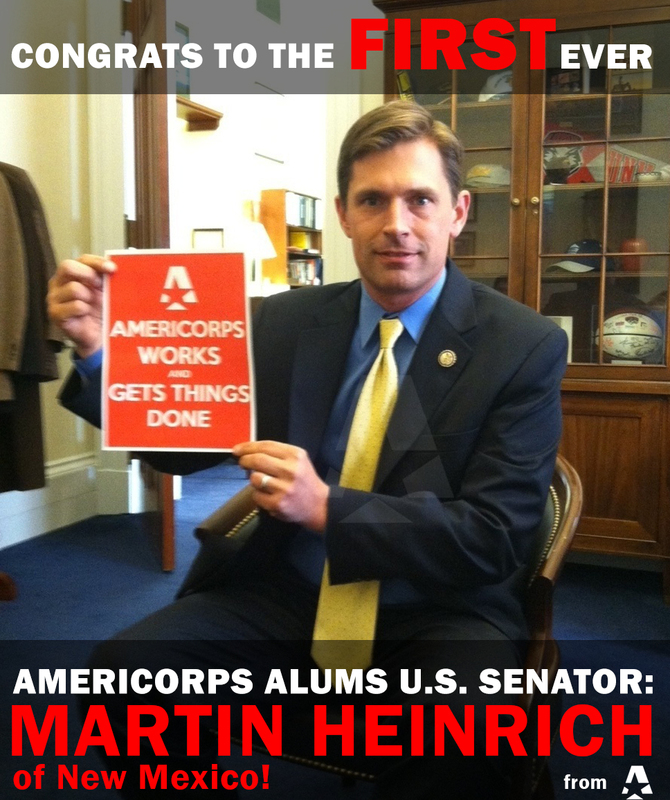 Heinrich will be the only sitting Senator to have served in AmeriCorps, since its founding in 1994. He has been a visible and proud supporter of National Service in his state of New Mexico and we’re glad to have him show us that AmeriCorps Works in the Senate. Congratulations Senator Heinrich! One is good but more are better. Great question, April! We actually spell it with a capital “A” as Alums is the name of our organization an should be used as a proper noun. Thanks for your service!